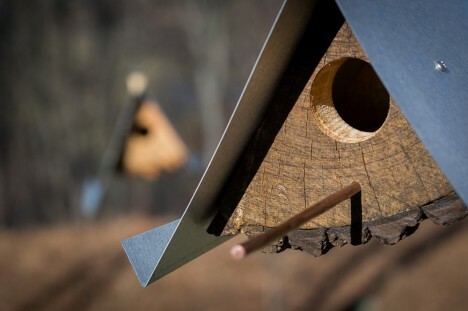 Applying architectural logic to a bird’s eye view, these natural-material dwellings utilize fallen trees to create familiar and eco-friendly habitats for your feathered friends. 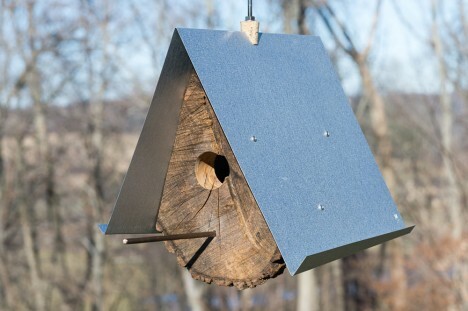 With concept and design development by Moger Mehrhof Architects, log quarter-sawing by Brandywine Woodworks, metal from John Madarasz and photos by Barney Leonard, this was a collaborative project taking into account the skills and abilities of all parties. 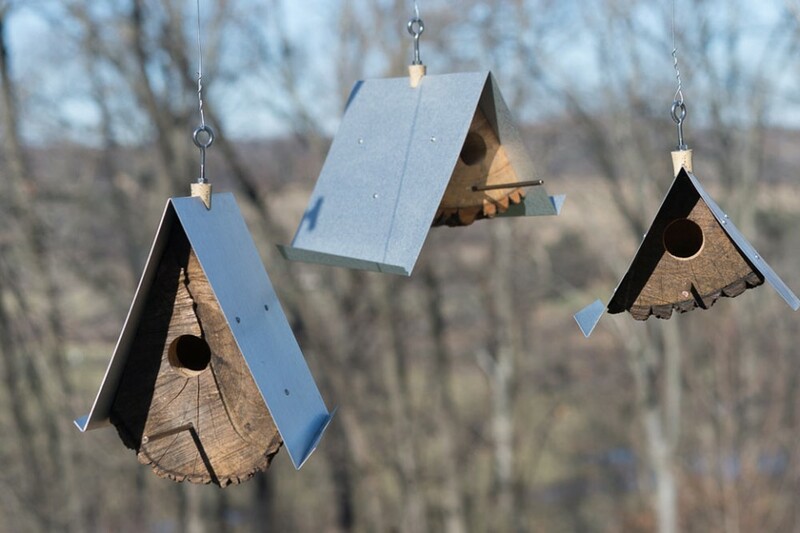 As with so many great designs, the end product is surprisingly simple – it recalls traditional pie-shaped birdhouses and uses a minimal amount of materials and effort to achieve its results. 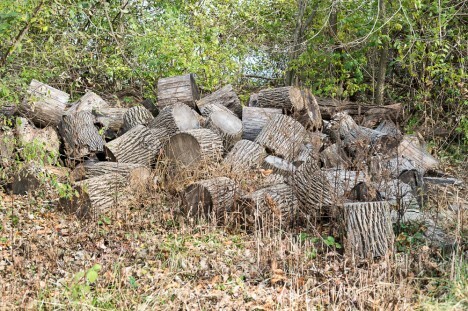 And though birds may not make the same requests as human clients demanding unique abodes, the resulting semi-organic structures are necessarily unique, following the form of the logs from which they are cut. 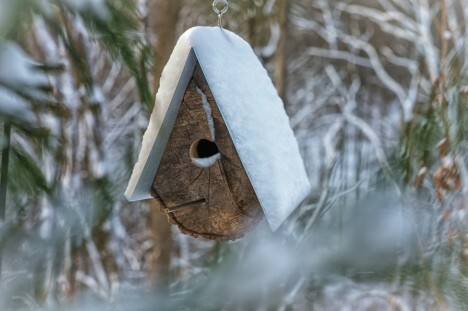 Log cabins for birds, if you will. 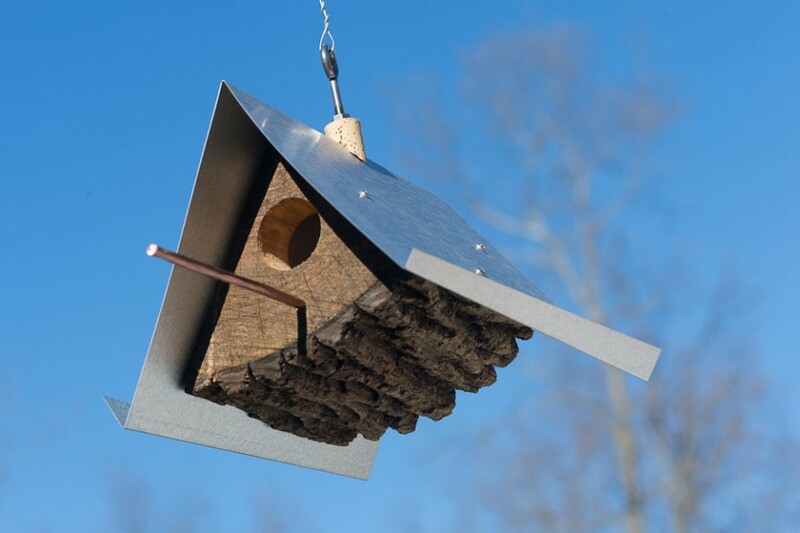 Another great aspect of the result: the plans and sections are relatively simple and the materials readily available, making for great do-it-yourself inspiration for anyone with a cabin in the woods. 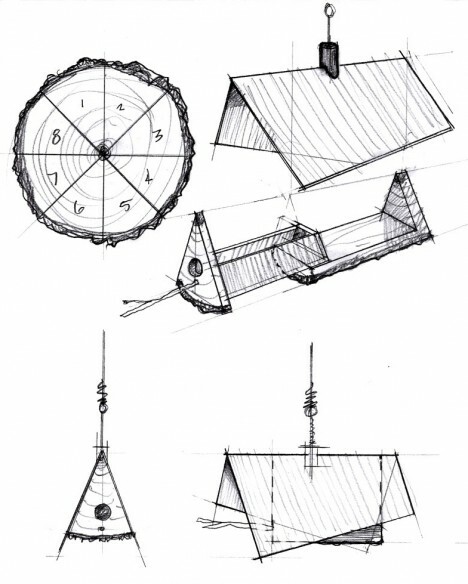 As with human homes, these spaces are also designed to weather various conditions – the roofs are sloped and will shed excess weight as well.